Pascoe Vale won their last 4 away games in NPL Victoria (Australia). Bulleen Lions lost their last 4 games in NPL Victoria (Australia). Bulleen Lions scored in last 3 home games in NPL Victoria (Australia). Pascoe Vale scored in last 7 games in NPL Victoria (Australia). Pascoe Vale scored in last 5 away games in NPL Victoria (Australia). Fluminense has under 2.5 goals in their last 5 home games in Serie A (Brazil). Bahia won their last 3 games in Serie A (Brazil). Chapecoense has under 2.5 goals in their last 4 games in Serie A (Brazil). Sport Recife lost their last 3 games in Serie A (Brazil). Bahia scored in last 4 games in Serie A (Brazil). Chapecoense SC’s away record this season is 0-3-5 in Serie A (Brazil). 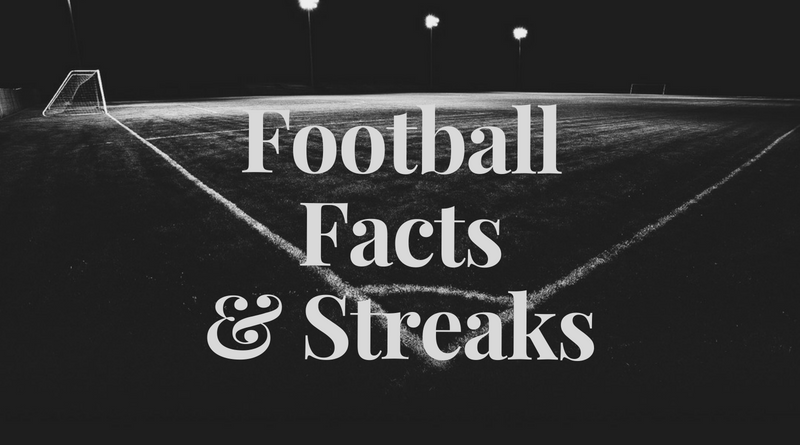 Bahia has under 2.5 goals in their last 5 away games in Serie A (Brazil). Bahia scored over 1.5 goals in last 3 games in Serie A (Brazil). Vendsyssel has over 2.5 goals in their last 8 games in Superligaen. Aston Villa has over 2.5 goals in their last 5 games in Championship. Aston Villa has over 2.5 goals in their last 4 away games in Championship. Aston Villa won their last 7 games in Championship. Aston Villa won their last 4 away games in Championship. Aston Villa scored in last 4 away games in Championship. Sundsvall allowed opponents to score over 1.5 goals in last 3 games in Allsvenskan. Elfsborg has under 2.5 goals in their last 3 games in Allsvenskan. Ostersunds scored in last 5 games in Allsvenskan. Sundsvall has under 2.5 goals in their last 3 games in Allsvenskan. Elfsborg didn’t score in last 3 games in Allsvenskan. Ostersunds scored in last 3 away games in Allsvenskan. Elfsborg allowed opponents to score over 1.5 goals in last 6 games in Allsvenskan. Norrkoping scored in last 17 away games in Allsvenskan. Norrkoping scored in last 26 games in Allsvenskan. Sundsvall allowed opponents to score over 1.5 goals in last 4 home games in Allsvenskan. Los Angeles FC has over 2.5 goals in their last 5 away games in MLS. New York Red Bulls scored in last 12 home games in MLS. New York Red Bulls scored in last 5 games in MLS. Los Angeles FC scored in last 7 away games in MLS. New York Red Bulls scored over 1.5 goals in last 10 home games in MLS. Cracovia allowed opponents to score over 1.5 goals in last 7 home games in Ekstraklasa. Proleter has over 2.5 goals in their last 4 games in Superliga. Proleter has over 2.5 goals in their last 3 away games in Superliga. Spartak Subotica has under 2.5 goals in their last 7 home games in Superliga. Proleter lost their last 3 away games in Superliga. Proleter scored in last 3 games in Superliga. Dukla lost their last 3 games in 1. Liga (Czech Republic). Dukla scored in last 5 home games in 1. Liga (Czech Republic).